New and exciting discoveries constantly arriving! 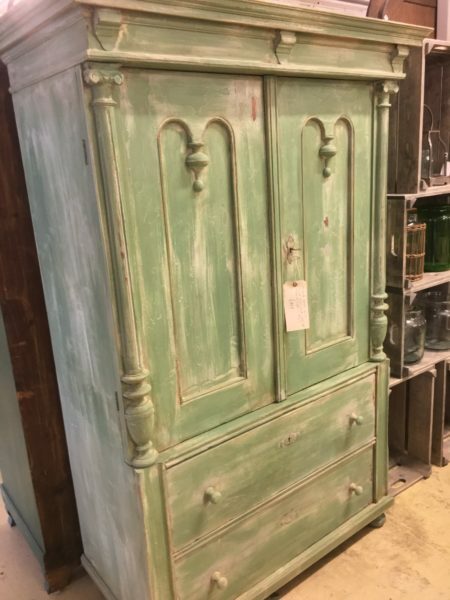 Beautiful unit from France.. original vintage cabinet, 2 draws below 2 doors behind which there are shelves to the right and original hanging hooks to the left. Very unusual and worthy of the Arks quirky finds label!!! We love it! 1 Lightly sand to ensure the new paint has a good surface to “key” on to when it is applied. 2 Make sure that the surfaces are clean and any loose or flakey paint or varnish is removed and sanded. 3. Vacuum off the unit to be painted and then go over it with a damp cloth to make sure any bits are removed and won’t affect the painted finish. With the above in place you should be well placed to produce good results. When painting you have two choices with the Frenchic range of paints we stock. 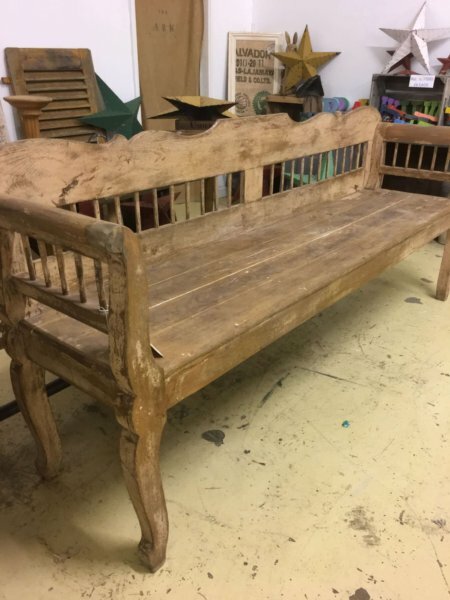 One range comes with a wax protection coat included in the paint mix (the Lazy Range) and the other is just chalk paint to which you can paint over a protection coat of sealant or wax seal after painting. Both work equally well. In some situations we apply a matt floor varnish over some heavy wear pieces which works equally as well. When you paint, ensure the paint is well mixed and apply the paint with the recommended brushes for the best results. At the Ark we stock the range of Frenchic brushes and paints to get you started. Apply light coats and don’t be tempted to over paint to get coverage too soon, its always best to let the coat dry thoroughly and apply one or two additional coats for the best results. Remember also we are always available to offer advice, so why not pop in to discuss your project soon. New to Ark Vintage! 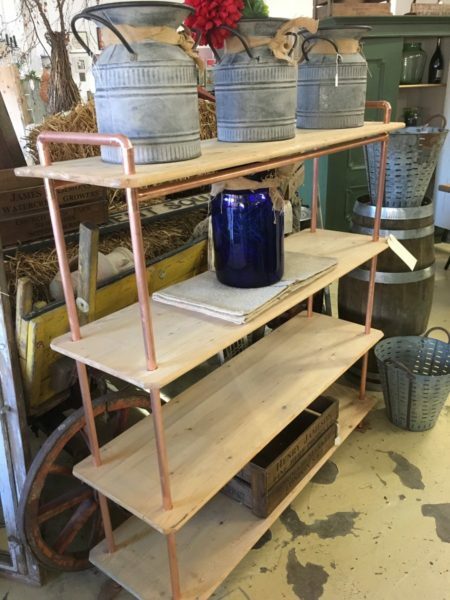 We now build our own range of industrial style shelving and furniture pieces. We offer a full design service with units built to order with a wide range of pipe options including copper, scaffold, or handrail at various diameters. Most items can be built with a range of pipe finishes including painted or “natural” providing the ultimate in urban chic! We love the look and hope you do too. Why not pop in to discuss any ideas you might have, we are always glad to provide advice. Just in from the continent. beautiful glass fronted cabinets with shelving. Two in stock which match!